I originally read Paris for One about 2 years ago. I rated it 4 stars and I thought it was a good short story. I was impressed by the fact that it focused more on a connection between two people rather than force some kind of insta-love. I didn't enjoy it as much this time, I don't know if that is to do with the fact that my tastes have changed or because I wasn't reading it for the first time. I think it was the former and I do think my tastes have changed slightly, but I rated it 3.5 stars this time (which isn't that much of a change to the rating but my feelings towards it have definitely changed). So it is a cute story overall but kind of lacking. I found most of the other stories to be lacking too. I really enjoyed Holdups (I gave it a 4.5). That story was very entertaining and different, it was also a bit far-fetched but I indulged it. A Bird in the Hand was the second best, getting 4 stars from me but the rest were all very underwhelming. That is why this book amounted to 3 stars. I hate to be mean but it feels like a money grab to me. * I received a copy from NetGalley in exchange for an honest review. "And yet something-perhaps an English predisposition not to appear rude, not to make a fuss, even if it does end up in your untimely murder-propels her forward." "She is so good at saying it now, as if it happened to someone else entirely. Her voice even, light, as if it were the most insubstantial of facts. As if it hadn't smashed their existence into a million pieces, a falling meteor, radioactive for years afterward, scorching the earth." 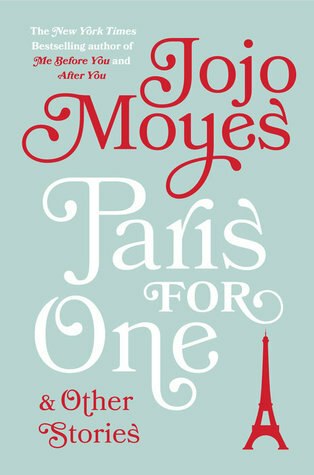 Sign into Goodreads to see if any of your friends have read Paris for One and Other Stories.